Nicole grew up racing International 420s on the east coast and making several trips overseas to race in world championships. 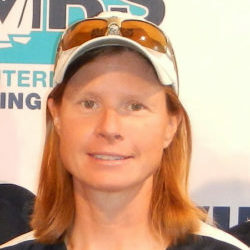 She sailed for Yale, captaining their team and earning All American honors. 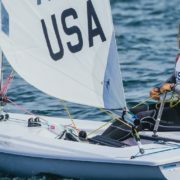 After college, Nicole trained briefly in the Olympic 470 class before building a 10-year teaching career in her Connecticut, also coaching high school and junior sailing. Before moving to San Francisco, Nicole raced at the top of the Lightning class and again trained in the 470 class prior to the Beijing Games. Then she teamed up with Bruce Stone, racing with him on his J/105, Arbitrage, and marrying him in 2014. 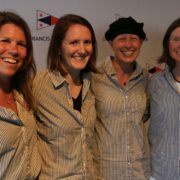 In her move to the west coast, Nicole began her own amateur match racing program and has since built a solid amateur resume.